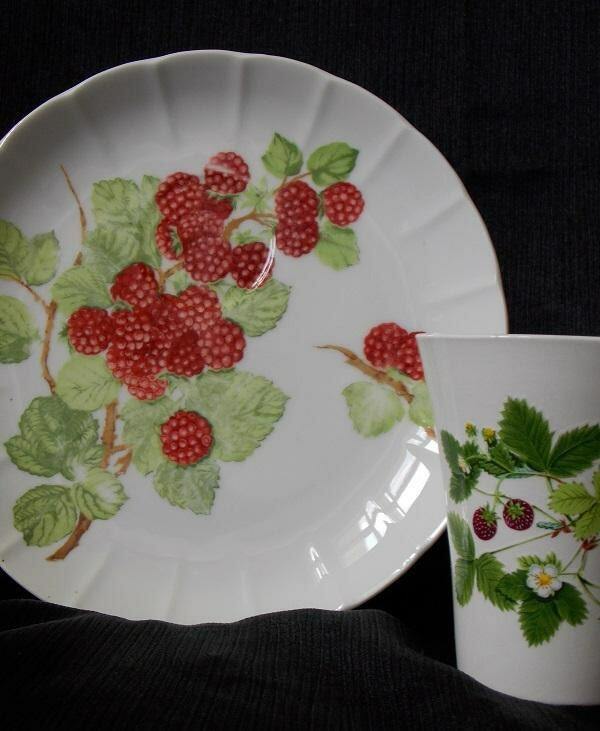 This pretty mismatched luncheon set features a Seymour Mann luncheon plate and a Portmerion china tumbler. 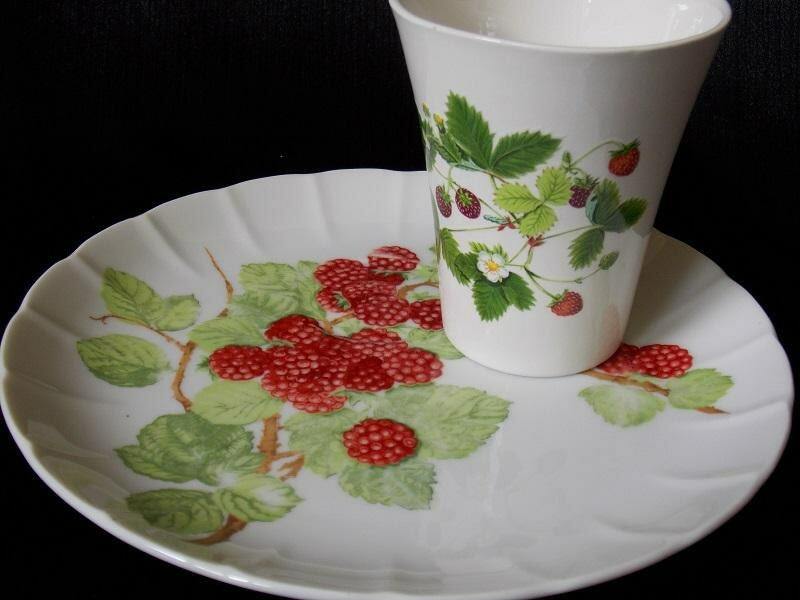 The tumbler glass is done in the Summer Strawberry pattern and was made between 1980-1990. 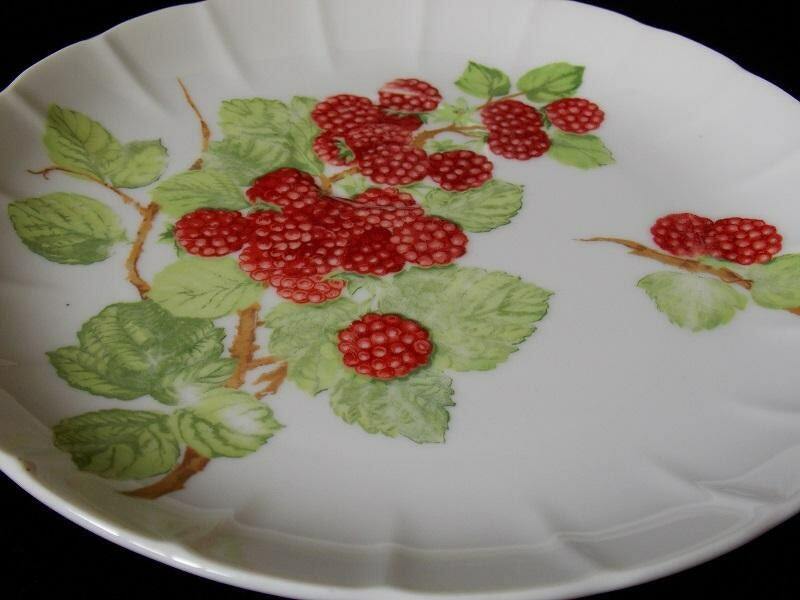 It is an overall white/cream color with a strawberry and vine pattern on one side. It is dishwasher safe. 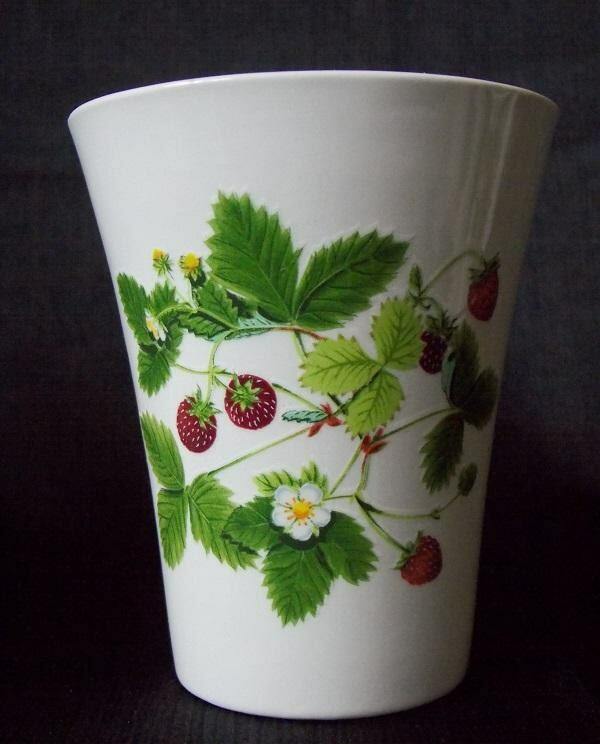 The tumbler is marked " Portmeirion/ Summer Strawberries/ Dishwasher Proof/ Inglaze/ Decoration" on the bottom. branch design. 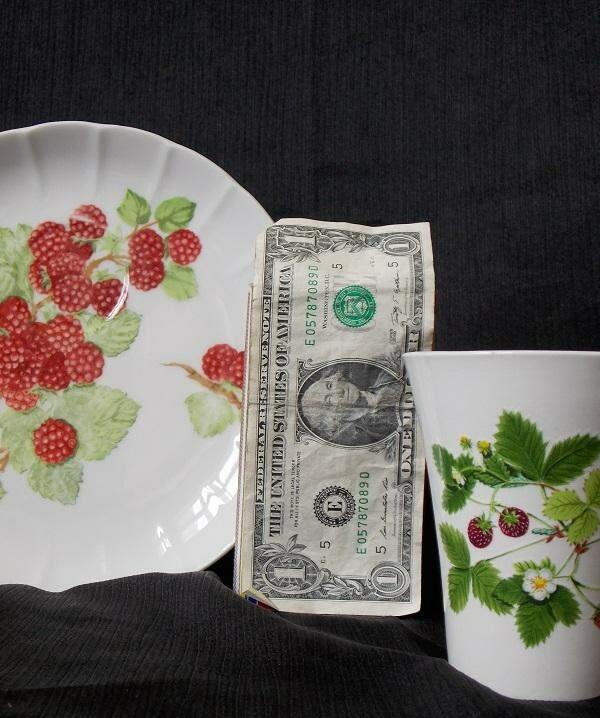 It has scalloped edge and an indentation for the cup on one side. It is marked "Framboisier/Seymour Mann Inc." inside the Mann logo. * Condition: excellent--Please note that the tumbler fits over not inside the cup indentation on the plate.